Perfect for lounging, a girls night will never be the same. 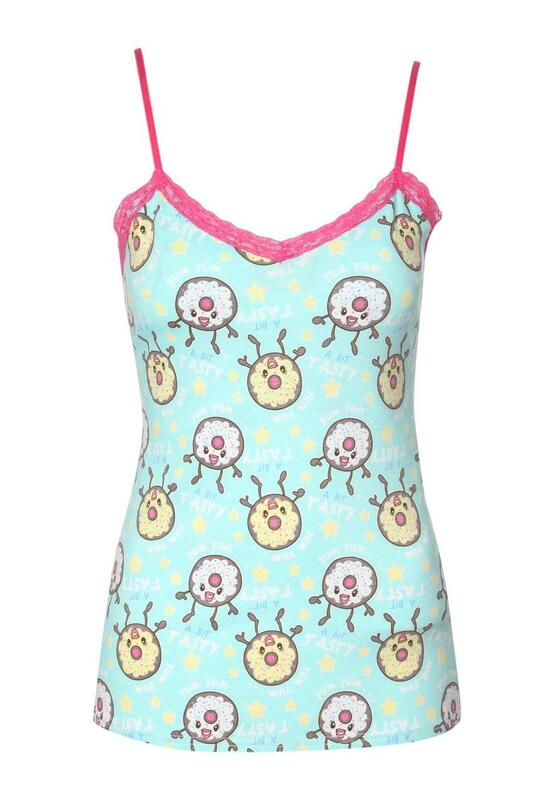 In this fun novelty cami, you're sure to feel comfy. With adjustable straps, lace v-neck and a hidden support panel. Just add the matching bottoms, a cosy blanket and favourite bar of chocolate for a winning, chilled out evening.